Interaction Grammars are a grammatical formalism based on the notion of polarity. Polarities express the resource sensitivity of natural languages by modelling the distinction between saturated and unsaturated syntactic structures. Syntactic composition is represented as a chemical reaction guided by the saturation of polarities. 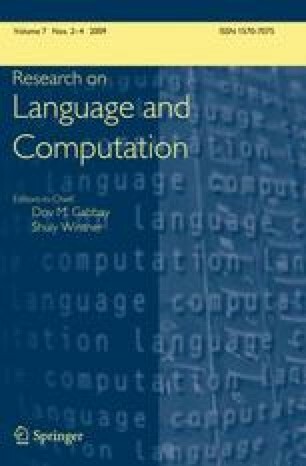 It is expressed in a model-theoretic framework where grammars are constraint systems using the notion of tree description and parsing appears as a process of building tree description models satisfying criteria of saturation and minimality.